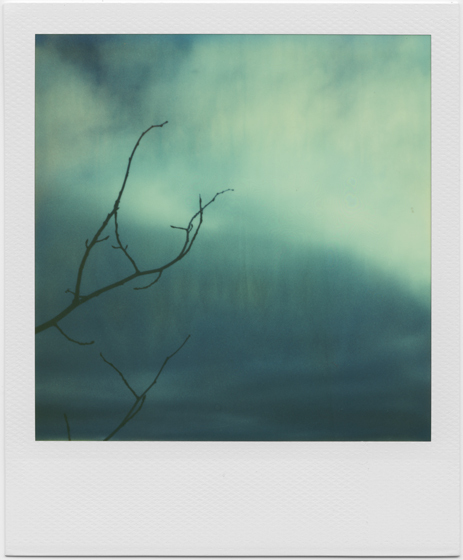 Last autumn (2009) I shot a pack of exquisitely expired Time-Zero film, and the results were primordial. At about that same time I was reading up on Dreamtime. The photos coincidentally reflected the materials I was reading, and so the series ended up with The Time Before Time as a title. I have loved the words and works of Ms. Dickinson since high school when I encountered the poem To make a prairie, but her words have never had such direct application to my life as last night when I began helping my daughter make jewelry. Mind you, I do not know how to make jewelry. My ten year daughter, however, desired to make necklaces, earrings, and so forth from glass beads. She also wanted to open an Etsy Shop called Clementine’s Corner where she might eventually sell her creations (with me overseeing her shop, of course). Knowing that my daughter’s goal was well within her artistic capabilities, I agreed. 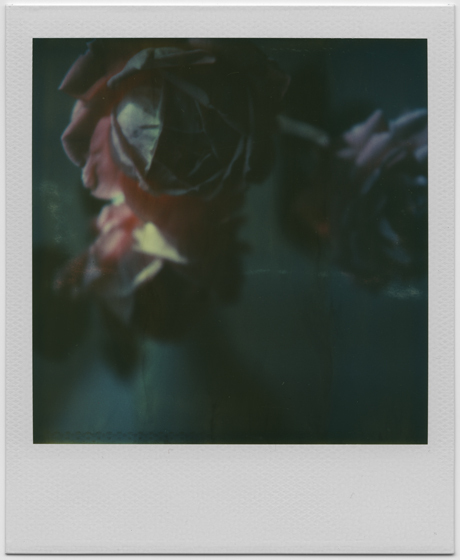 In any case, I had already decided that I wanted to learn to make jewelry so that I might incorporate my Polaroid photography in those creations. Last night we went to Michael’s to get some framing done and decided to look for beads there. Oh, we contemplated the beautiful and expensive beads we saw there but eventually settled on an inexpensive kit that came equipped with most of the supplies we needed to begin. We definitely need to play with paste before we graduate to pearl! 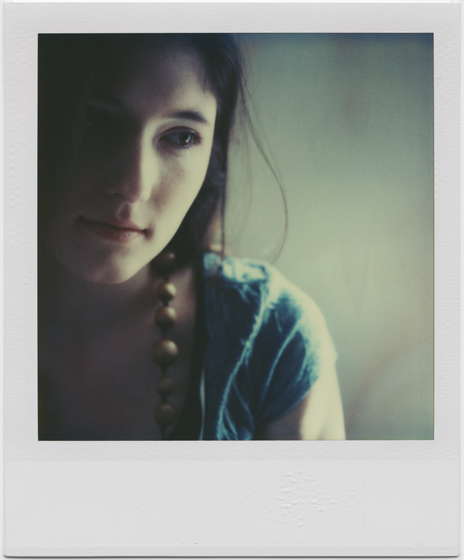 Whenever a photographer uses expired film, surprise will be an element of the result. While the photographer cannot place all his or her hope in interesting effects, however, he or she cannot count on entirely controlling the result either. 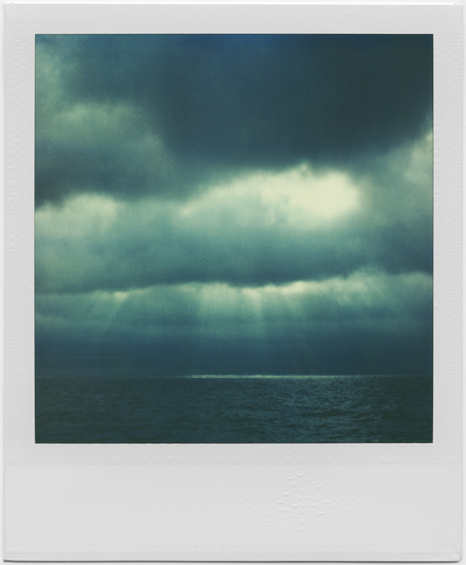 Before I began this little series on working with Time-Zero film (both fresh and expired), I had written an entry about a very special pack of Time-Zero that I received from a friend, for after I shot the pack, I found myself craving its magic again and again. 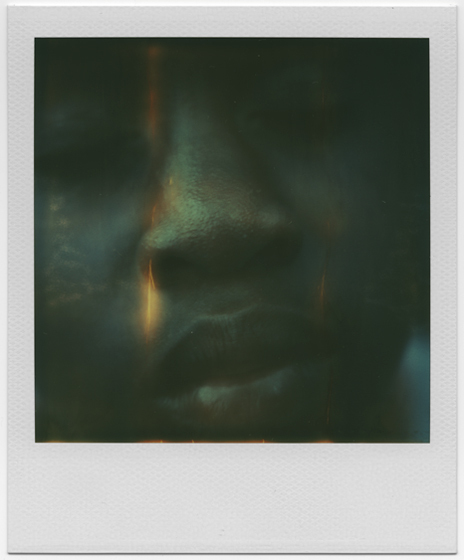 Though I will not repeat the photos from that entry here, I would like to conclude this series with photos from the black magic pack because they illustrate more than any of my Polaroids how rewarding working with expired film can be. 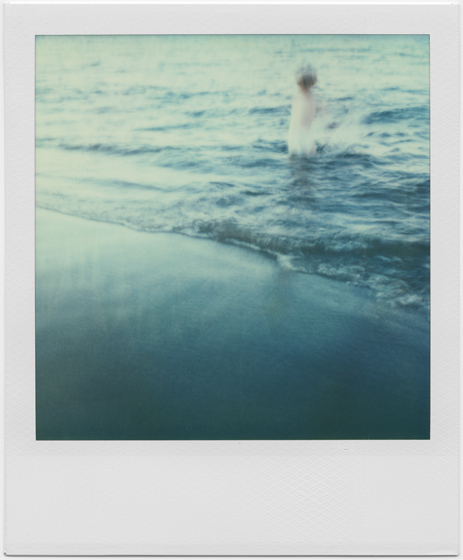 This is my personal favorite from my own portfolio… Polaroid and otherwise. The deep roses, blacks, and blues that the magic pack of film yielded worked beautifully with this model’s skin. This little objet d’art remains my memento of something treasured that cannot be duplicated ever again. I was playing with the length of the exposure time in the following shot. 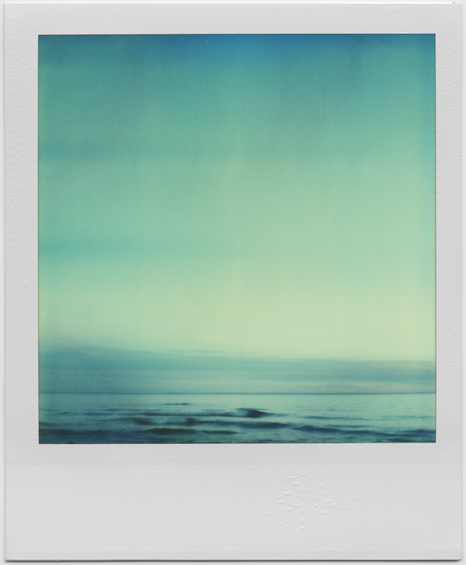 In this case, I used the SX-70’s dial to “overexpose” the shot. The other blog entry features some of the darker versions of the still life. In conclusion, then, it is certain that I’ll not have a chance to shoot non-expired Time-Zero film in all its glory again, it is highly unlikely that I will have the the opportunity to have in my possession something like the black magic pack again, but I have about 92 shots of expired Time-Zero film in its various stages of blossoming and decay waiting for me in the refrigerator. Hopefully, I’ll be able to shoot something worthy of the film with it. Thank you for taking the time to look at my Polaroids. 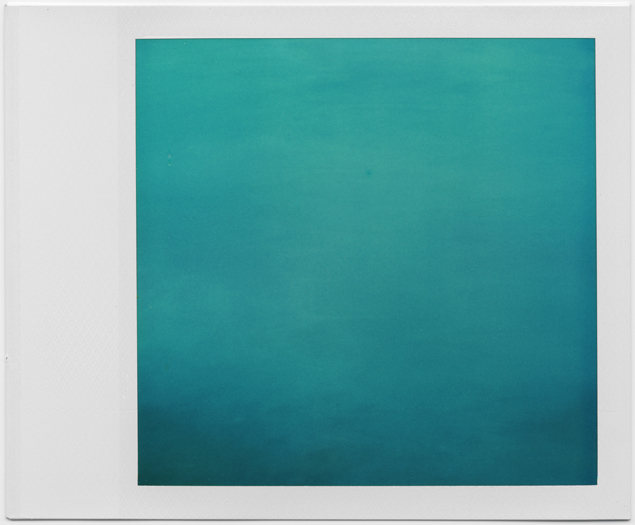 The fourth and last in a series chronicling the transitions and decline of an aristocrat of film types, Polaroid Time-Zero film… Polaroids by Elinor Scott-Sutter. 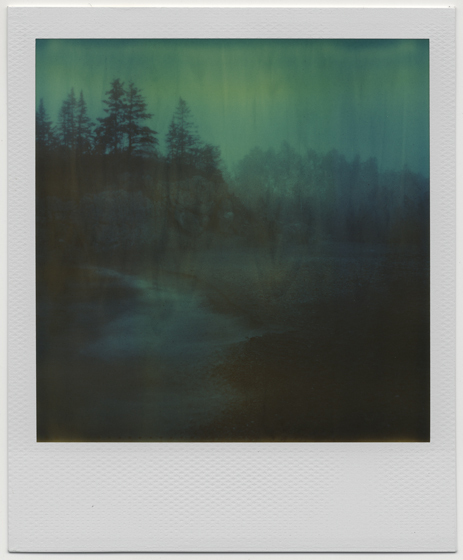 Recently I’ve been revisiting some of my work and writing about my favorite Polaroid film type, Time-Zero, which was discontinued in 2006. 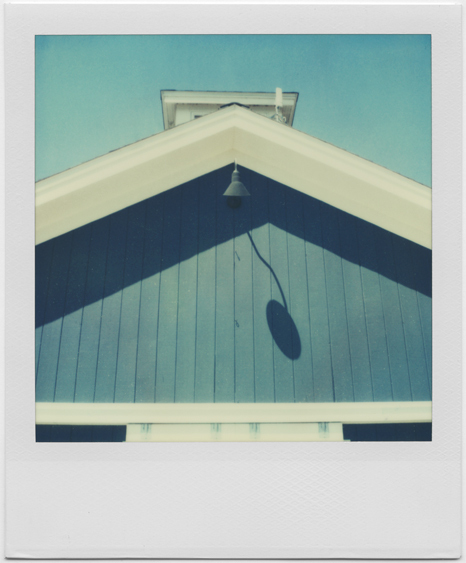 I use it in my favorite camera, the SX-70. This installment of a series about the film/camera combination is a little out of sequence, as I wrote last time about working with expired film. Before that I had written about the painterly qualities of the film but, in so doing, completely failed to include examples of one of the most beautiful qualities of Time-Zero film, which is its gorgeous expression of blues and cyans. It’s for this quality that I will probably most miss my Time-Zero film. The blues, which really don’t need description, work for portraiture, too. 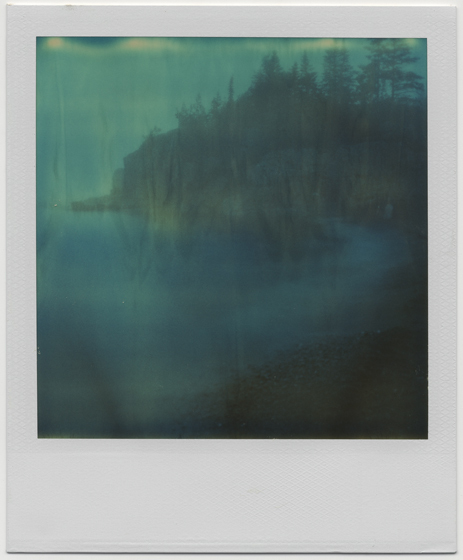 The computer display just fails to adequately portray the special qualities of the film, which is how this Polaroid of Lake Superior came by its title Lost in Translation. 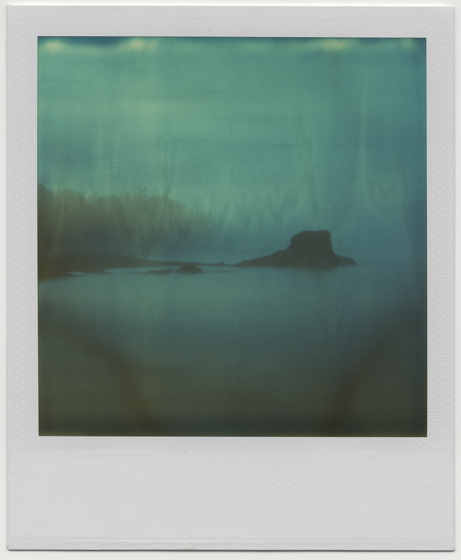 Finally, here’s one of my favorites from my stash of Polaroids… a result of an experiment I did to trick the SX-70 into doing long exposure times at the darker side of dusk. 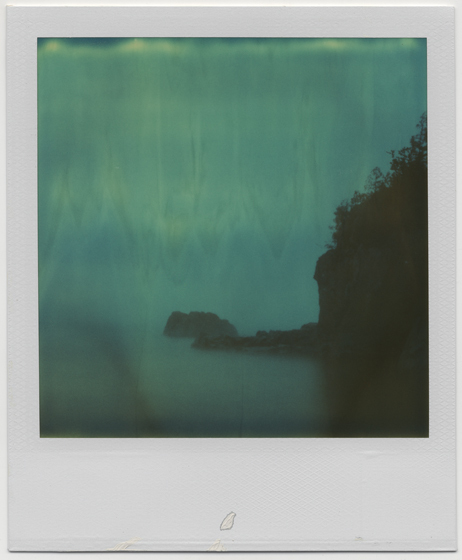 The blues, as a theme for classifying Polaroids, makes for for an equivoque, which is very apropos, for it is the loss of these extraordinary blues that leaves me with the mood implied by the color. The first in a series chronicling the transitions and decline of an aristocrat of film types, Polaroid Time-Zero film… Polaroids by Elinor Scott-Sutter.